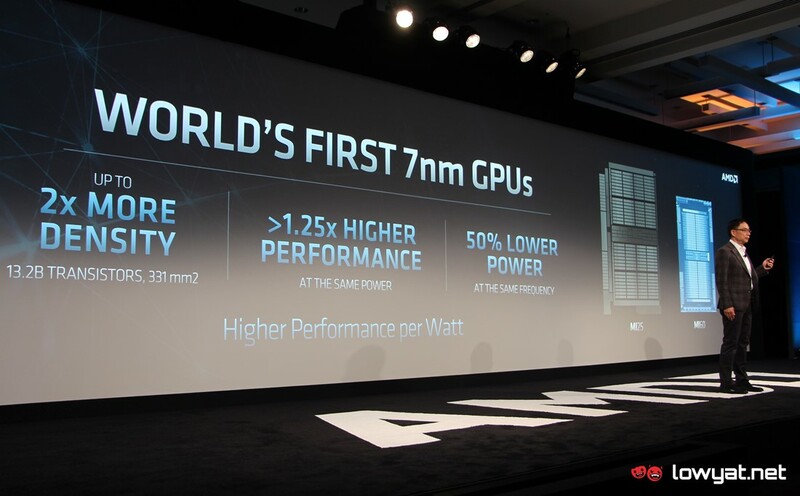 They have also unveiled the world's 1st 7nm GPU. 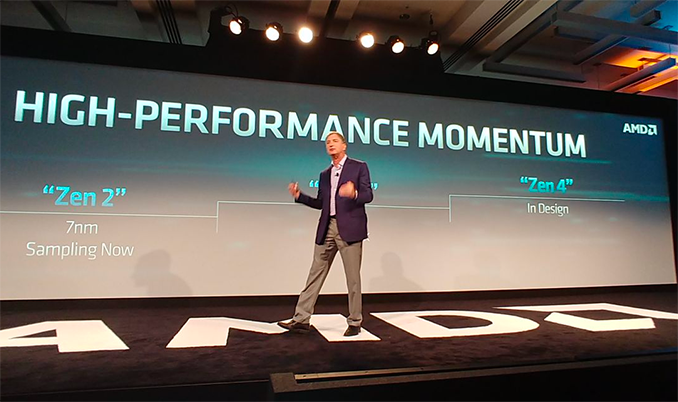 AMD has just announced the world's first 7nm GPU at its Next Horizon event in San Francisco, with the unveiling of the new Radeon Instinct MI60. "Combining world-class performance and a flexible architecture with a robust software platform and the industry's leading-edge ROCm open software ecosystem, the new AMD Radeon Instinct accelerators provide the critical components needed to solve the most hard cloud computing challenges today and into the future". Thanks to its 7nm manufacturing process, the Radeon Instinct MI60 features a 2x uplift in density for a total of 13.2 billion transistors (with a die size of 331mm). This allows them to push the performance up 1.25x at the same power envelope, while consuming 50% lower power at the same frequency. Aside from the jump to 7nm, both the Radeon Instinct MI50 and MI60 include HBM2 ECC memory with up to 1TB/s bandwidth and PCIe 4.0 interconnect, flexible FP16, FP32 and INT4/INT8 capabilities and two "Infinity Fabric" links per GPU. That translates to 64GB/s Bi-directional CPU-to-GPU bandwidth. While the Vega design remains relatively the same having 64 compute units and 4096 SPs, it also has additional Deep Learning operation instructions and optimized for the HPC market. How Well Does the MI60 Perform? AMD claims is now the fastest double precision PCIe card on the market, with the 16GB Tesla V100 offering 7 TFLOPS of FP64 performance. In terms maximum theoretical compute power, AMD claims up to 118 TFLOPS in INT4. AMD's CEO, Dr. Lisa Su, and Forrest Norrod, SVP and General Manager for Datacenter and Embedded Solutions at AMD, showed a benchmark comparing the new AMD EPYC Rome with Radeon Instinct MI60 with previous generation EPYC Naples and Radeon Instinct MI25 GPU, showing significant improvements in Resnet-50.